These denim shorts are a fantastic choice for the summer. 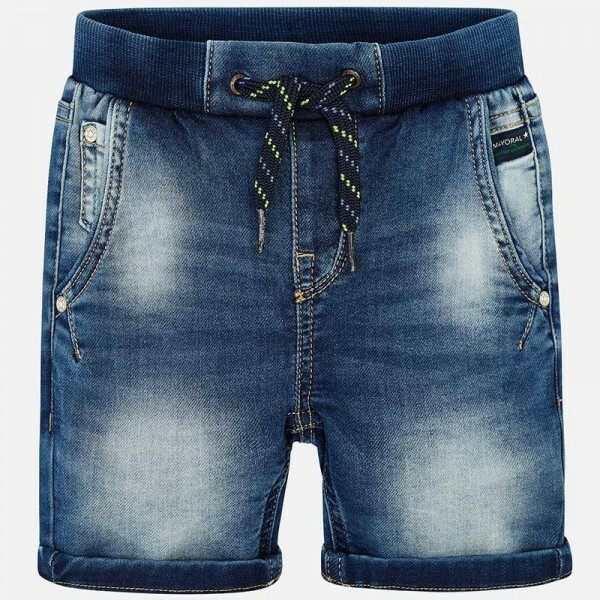 Made in lightweight blue wash denim, they have a ribbed drawstring and an elasticated waistband to make them as easy to wear as they are functional. Perfect for little men for whom comfort is important! The shorts are exceptionally well designed - the hard wearing denim makes them a great choice for any adventure.